Split Rails are for concealed fixing of panels to walls. Easy to install and remove panels. Two rails can be used together or Split Rail with Split Rail Clip (SRC). J insert for Plankwall panels for displaying and merchandising products. Used to join 3/4" and 18mm. More Tolerance for where walls may not be perfect and some tolerance needed. Split Rails are for concealed fixing of panels to walls. Easy to install and remove panels. Two rails can be used together or Split Rail with Split Rail Clip (SRC). Screw profile to wall for horizontal panel joining. Use MCLN-JOIN for vertical panel joins. Used where 2 panels may need to be supported at a join. Can reduce panel wastage. Drawer pull for doors & drawers. Punched to length removing the 'fir tree' at each end. Split Rail Clip made from strong glass filled nylon. Can be used either with the standard Split Rail or where more tolerance is needed with the Split Rail MT. Used to join 3/4", 16mm and 18mm panels. 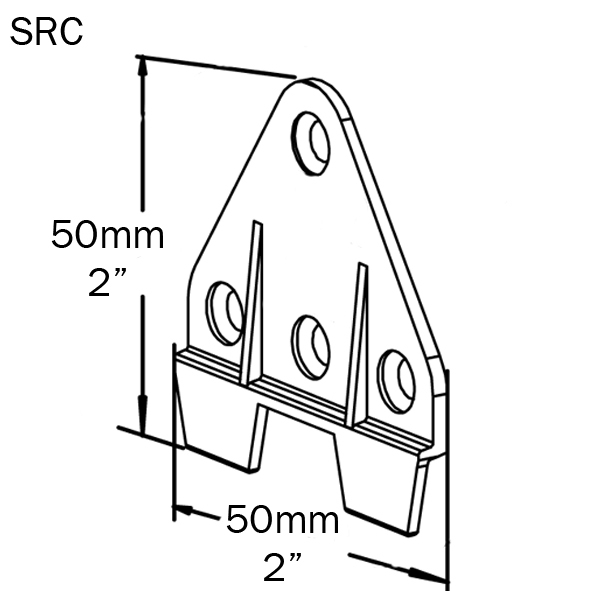 T insert for Plankwall panels for displaying and merchandising products. Desk top and furniture cable port. Available in Cream, Tawa, Grey and Charcoal.